You can change the values as per your needs for different X-Rays. When taking dental X-rays, operators have to position devices and place sensors or film to patients' teeth. 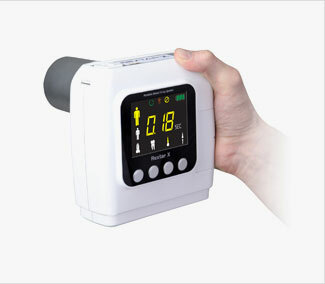 Rextar-X has been designed with a hand strap, with power button and exposure button close by. 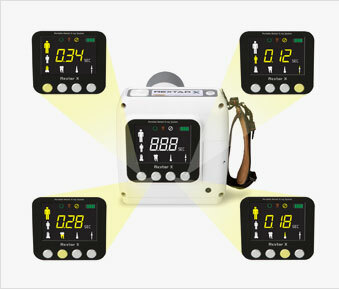 It's compact size, light weight and conveniently placed buttons help you operate it with one hand. The other hand can be used for positioning or controlling the patient. 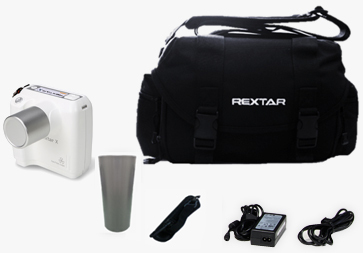 All Rextar series have the world's highest technical specifications among portable X-ray devices. 70kV DC unit and 0.4mm spot size, all contribute to both image quality and safety. All digital USB type sensors existing in the world can be detected with the REXTAR-X. The REXTAR uses a battery as a power source. Rechargable and hundreds of images can be obtained from a full charge, providing an average of 300 exposures. The upgrade of the Rextar battery was done in collaboration with Samsung.